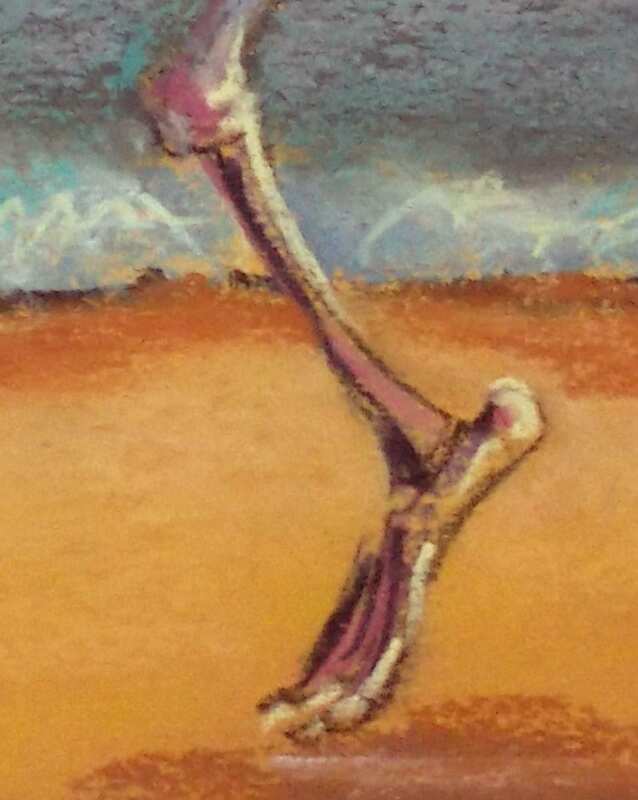 Skelly Dancer No. 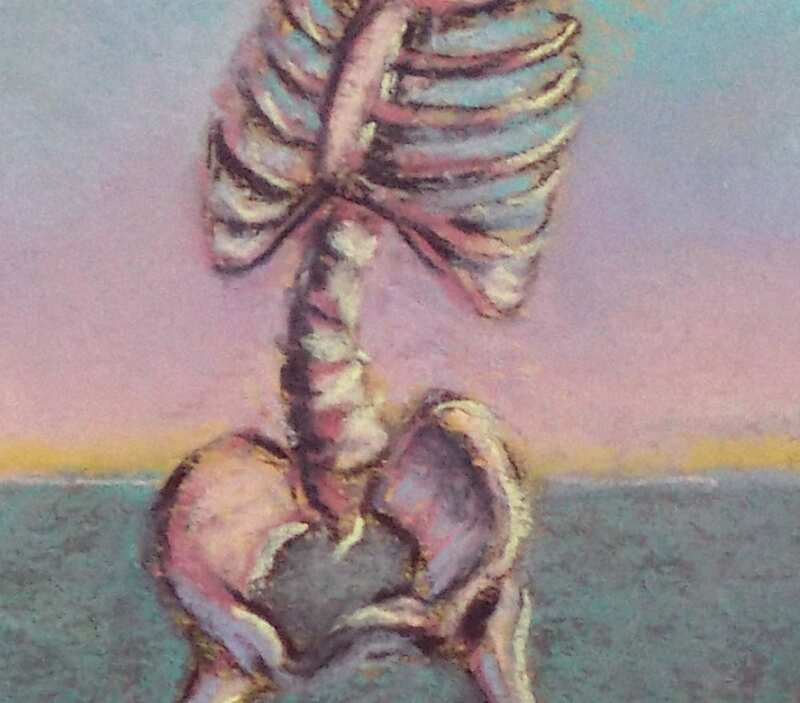 8, 14×11″ pastel painting on Canson mi-teintes paper using various pastels. Part of my Skelly Dancers series, it combines skeletons and belly dancing and the beach! What’s not to love? Shipping is included anywhere in the continental USA. Everywhere else please contact me. 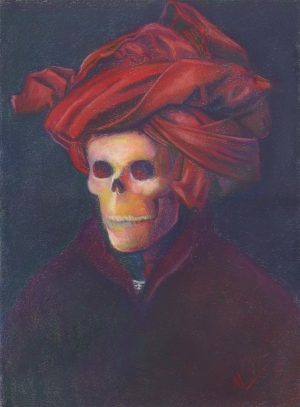 Part of my Skelly Dancers series, Skelly Dancer No. 8 is my skellified version of a belly dancer on the beach! 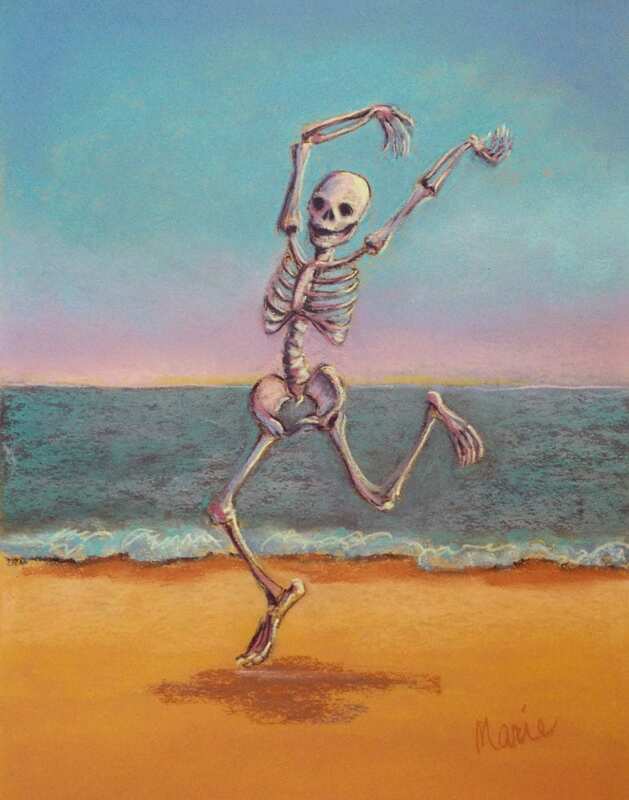 I love skeletons, dancing and the beach, so I combined all three for this painting! 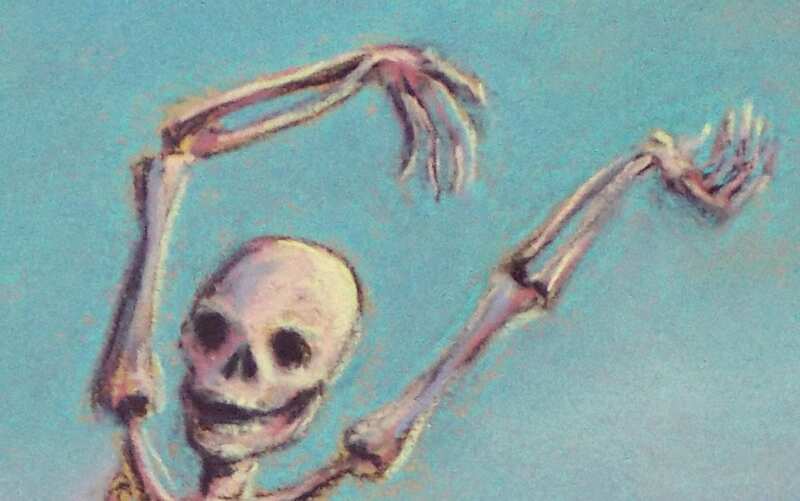 Skelly Dancer No. 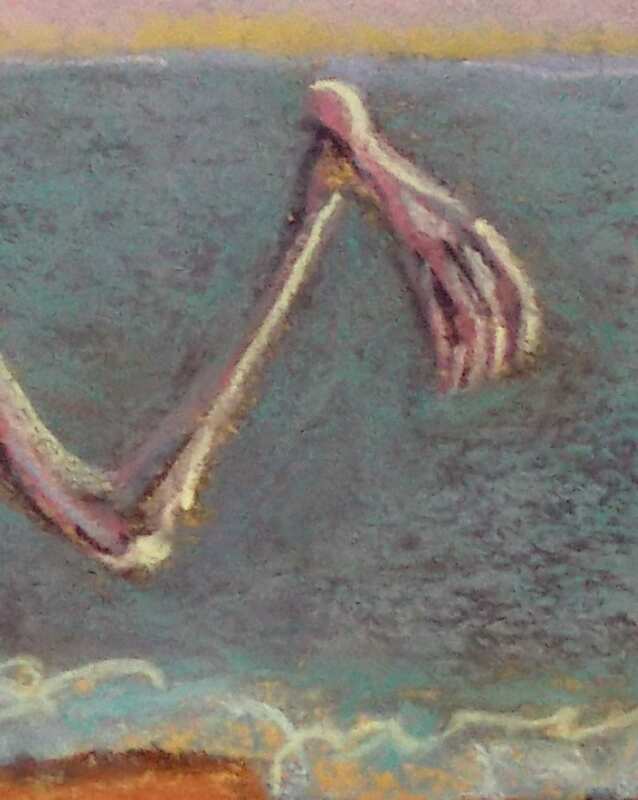 8 is 14×11″ pastel painting on paper. 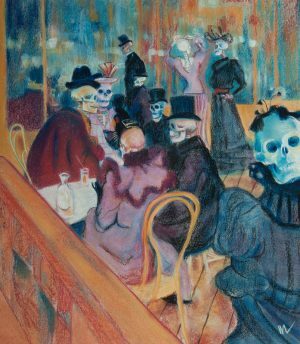 The original has been sold but you can purchase a print or canvas wrap of this painting. Shipping is free anywhere in the continental USA. Everywhere else, please contact me. The Skelly Dancers series is my way of combining some of my favorite things, namely dancing, skeletons and the beach! 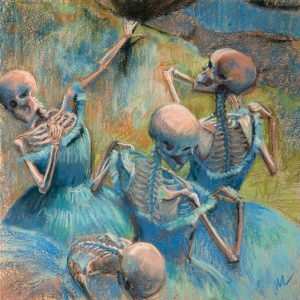 Skelly Dancers came about while I was working on another series. 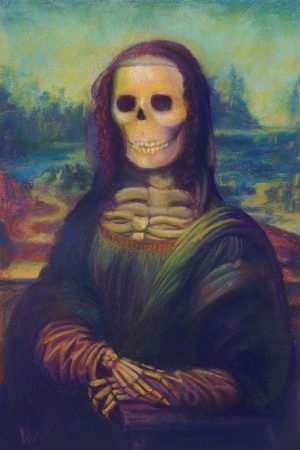 A friend suggested I try painting belly dancers in the style of Salvador Dali, so I did, and the Skelly Dancers series had its start.